The plated thyreophoran or stegosaurian dinosaur Stegosaurus armatus was named in 1877 by Marsh for fragmentary remains from the Morrison Formation (Upper Jurassic) of Colorado, USA. Subsequent discoveries from the same formation in Wyoming and Colorado (USA) have been assigned to separate stegosaurian genera and species, but most of these are no longer considered valid. More recently, a partial stegosaurian skeleton from Wyoming was named Hesperosaurus mjosi. However, the validity of this genus has been questioned recently, raising the question: how much osteological difference among stegosaur taxa is needed to separate genera from species? The question is examined vis-à-vis species and genus recognition in other dinosaurs, including iguanodonts, lambeosaurine iguanodontids, chasmosaurine ceratopsians, tyrannosaurid theropods, and diplodocid sauropods. The basis for taxonomic distinction is largely philosophical: if the species are morphologically distinct enough, they should be treated as separate genera. Based on these criteria, Hesperosaurus mjosi is a distinct taxon. Editorial handling: Jean-Paul Billon-Bruyat & Daniel Marty. First, special thanks to Peter Galton for numerous email exchanges regarding his thoughts and observations on stegosaurs. These exchanges, plus review comments, helped me formulate the revision of the manuscript. I also thank Gregory Paul for discussions over the years about dinosaur species recognition and the associated problems. We have not always agreed on whether a particular taxon should be recognized at the species or genus level, but the discussions have been fruitful nonetheless. I have borrowed freely from these discussions, and acknowledge that Greg has published more on the subject than me, most recently in his review of iguanodonts (Paul 2008). I thank him for providing the skeletal reconstructions used in the figures. I also thank Hans Jakob “Kirby” Siber for the invitation of submit a manuscript to the Symposium on Stegosauria, and for hosting my visit to the Sauriermuseum Aathal, Switzerland where several new specimens of Hesperosaurus are exhibited. Finally, thanks for Paul Upchurch for his insightful review comments, as well as those of an anonymous reviewer. Galton, P. M. (2010). Species of plated dinosaur Stegosaurus (Morrison Formation, Late Jurassic) of western USA: new type species designation needed. 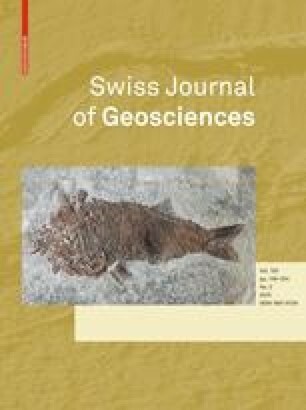 Swiss Journal of Geosciences, 103. doi: 10.1007/s00015-010-0022-4.